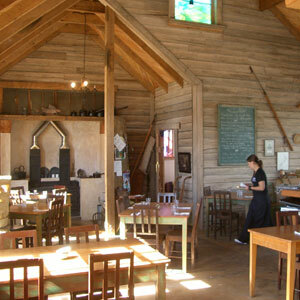 The food is superb - a selection of local fish and other delicacies from the southern waters such as Titi (Muttonbird). Most of the vegetables come from small organic growers around the region, especially heritage vegetables and potatoes. Fleur is building up a unique Moeraki Maori potato in her garden, with the idea to use it in the restaurant.